When you're in Korea and if you want to fully experience and immerse in Korean traditional culture, I suggest visiting the place called Bukchon Hanok Village. It is not a place made for tour per se because it is an actual residential area. However, because of its popularity and interesting features, people go to this village to take a walk and to see the Hanok or known as Korean traditional house. 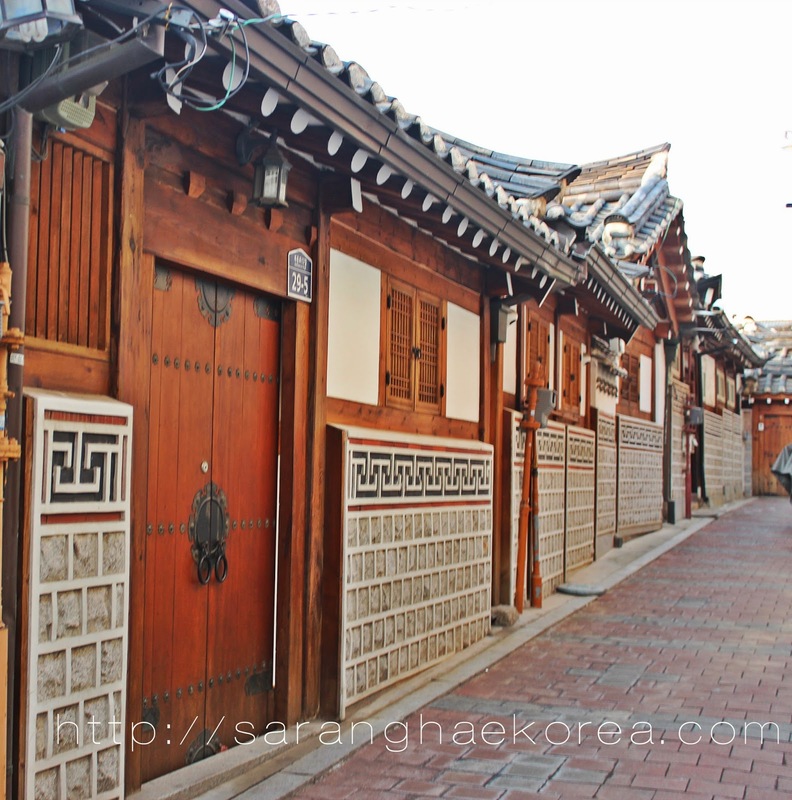 Unlike any other folk villages in Korea, Bukchon Hanok village is not artificial. Meaning, what you see now is the actual design of houses during the Joseon Dynasty way back 1392!!! 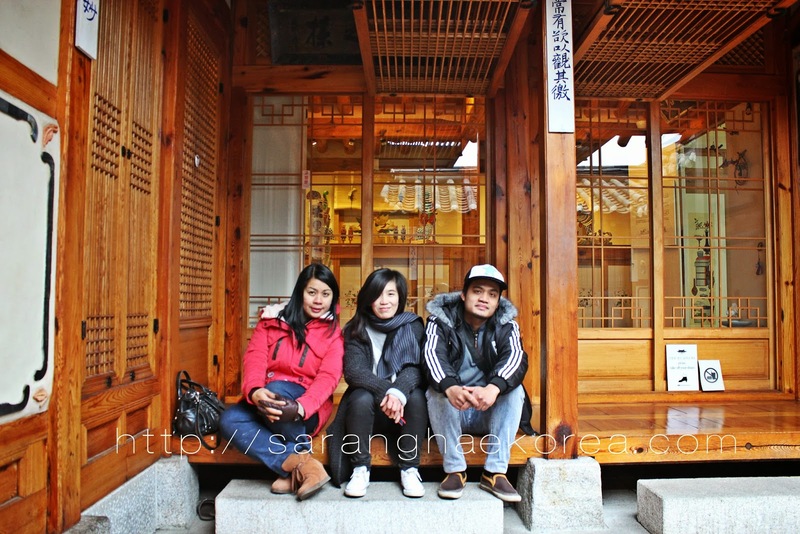 So it’s just like travelling back in time when you stroll around the Bukchon Hanok Village. The literal meaning of BUKCHON is Northern Village, this was a place where high ranking officials lived during the Joseon Dynasty. People have preserved the place even after the Joseon era and it’s amazing how they passed this on from one generation to another without actually ruining it. They are typically single-story building and the structures are generally made of clay, wood and stone. Because Korea has Winter Season, people a long time ago installed Ondol on their Hanok, this is a heated floor which is topped by curved tile roofs. This is the typical view inside the Hanok. 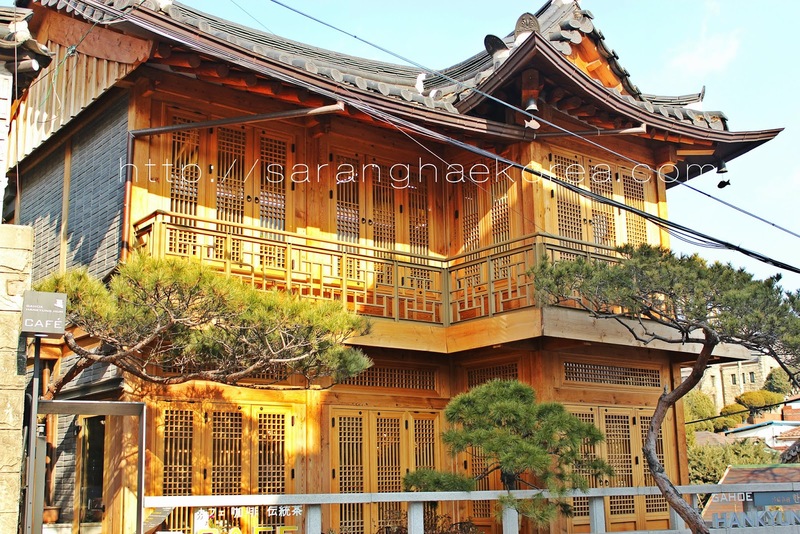 I am not 100 percent sure that this is what it used to look like because nowadays, people who own these Hanok houses put some modern touches into the house to commercialize it and make business out of it. People are flocking into this area of Seoul just to see these traditional houses, while this bothers some residence of the village because of the noise, others find this a good opportunity to open a business like cultural centers, museums, guesthouses, restaurants and tea houses. I like the village because there’s a nostalgic ambiance. Although I don’t exist during the Joseon Dynasty, I get a glimpse of how Korean people lived a long time ago in the area. I wonder how it feels like to really live in this village. 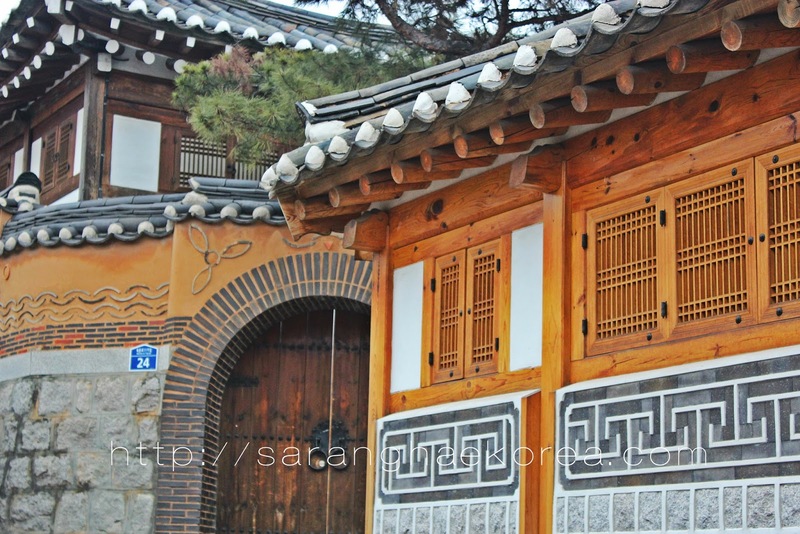 One of the most visited areas in the village is this house called Sanggojae. It’s a Hanok with a modern touch. The reason why it's famous is because it was featured in the Korean drama called Personal Taste. And I have made fun out of it by doing the Lee Min Ho pose in front of the Sanggojae. It was nice seeing that house in actual. The house name literally means “A place for mutual love”. To go to Bukchon Hanok Village, get off at Anguk station on Subway line number 3, go to Exit number 2 and walk straight ahead for about 300 meters. I love the meaning behind the name "Sanggojae"- all of our homes should definitely reflect the same :) What an absolutely beautiful village. Thank you so much for sharing these pictures. I love being able to be transported to a place I'll likely never see through the eyes of others in pictures as beautiful as these! I think it would be amazing to get to see this part off the world!! The architecture of the buildings is amazing. I can see how some would be disturbed by people coming to see the houses. Omg this place looks absolutely amazing!!! I've been to a lot of places in Asia but not Korea.... I have a aunt that was born in Korea.... My grandfather was in the army....and she has beautiful pictures of Korea...would love to visit one day! Oh those buildings are totally breath taking, and so picture worthy. The architectures of all the buildings, I just love them! Looks like they would make great postcards. Looks like great places I should add to my bucket list. I love seeing posts about other countries. I always wonder how things are in other places. This definitely looks and sounds like a great place to visit. Maybe once the kids are older I can travel outside of the US. Wow, absolutely stunning architecture. We take for granted what is common to us, that seeing this other part of the world is amazing. Thank you for capturing such great photos to share this village with us! I would love to visit! It looks so amazingly beautiful there. Thank you for sharing! The photos are beautiful and really makes me want to hop on a plain and head over. I always wanted to visit another country! Maybe one day!!! This is a beautiful village! I never been outside the country so I am always interested in other customs and lifestyles abroad. I would love to visit and explore the richness of this community thanks for sharing the photos!